"Under the bank's foreign expansion plans, we will open branches in Australia, South Africa and Mauritius for which clearance is received from the Reserve Bank of India. We already have a representative office in China, where we will open a full-fledged branch," she said. 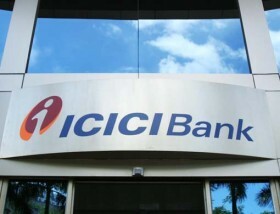 ICICI has the largest overseas network among Indian private sector banks, she said, adding that it has three subsidiaries and eight representative offices abroad. The subsidiaries in the UK and Canada have had selective growth in business along with an improvement in profitability after a period of consolidation, she said. "We have also focused on optimising the capital levels in this business through repatriation of capital and dividend payouts," she added. Fiscal 2013-14 was a year in which ICICI focused on strengthening its business, network, technological capabilities and financial parameters, she said. The bank added 653 branches and 834 ATMs to take the total network to 3,753 branches and 11,315 ATMs, she said. "We were cognizant of the risks in the environment and calibrated our approach accordingly. Our future outlook is positive. We believe that the formation of a stable government with a focus on growth will help realise India's vast potential," Kochhar said. A strong and diversified franchise, large distribution network, healthy capital position and sustained improvements in the balance sheet and profitability profile will help it leverage opportunities for profitable growth, she asserted. Kochhar pointed out that during FY 2014, it could improve the performance in an environment marked by elevated interest rates, low growth and significant market volatility.